It’s taken over 9 years and somewhere between 6000 and 9000 hours of work but it’s finally ready to play and enjoy. I realise I’ve been very quiet for a long time but the time has come for me to make all the noise I can about my little game. Lookout for posts and news on here as well as all the other usual social media sources. Oh, and please tell your friends too. 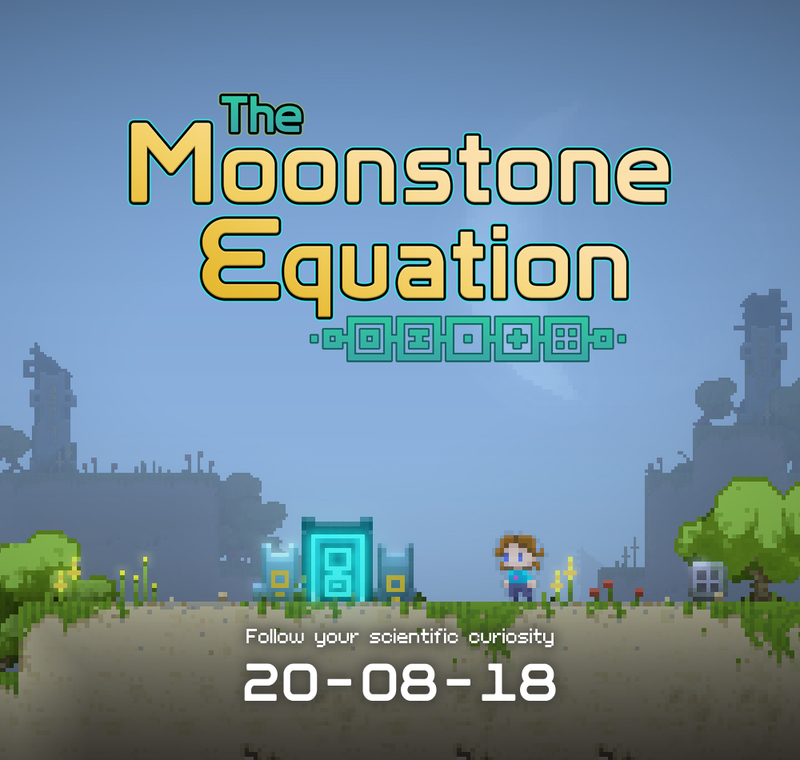 I want to tell everyone about Moonstone Equation but I don’t want to spoil the many suprises and puzzle it contains. It’s not a new problem, any game that contains narrative (and puzzles) needs to deal with this. At this point my plan is to give you all lots of visuals but keep a little more quiet about the details of the plot. That way you can see what the game looks (and maybe even sounds) like to play but the actual narrative will remain un-spoilt. It’ll also give you a chance to get a better idea of what it’s like to actually play The Moonstone Equation.